Painful breasts are the second most common reason that women give up breastfeeding in the first two weeks. Engorged breasts can hurt! And this can happen both at the beginning and ending of the nursing season, as supply adjusts to meet demand. This is one of the reasons that I encourage new mothers to work with lactation consultants to learn practical wisdom about breastfeeding. The lactation consultants at Stanford, where I work, recommend cool cabbage leaf compresses between nursings as part of their engorgement solution. Use green cabbage leaves. Crush them with a rolling pin if the leaves don’t fit well to the shape of your breasts. Or cut off the tops of the leaf veins – whatever gives you the best fit. The leaves can stay on for about 20 minutes, two or three times a day, perhaps with a cold compress over them. Some suggest putting them on after every feed, and leaving them on until the cabbage wilts, but others are concerned that this will reduce the milk supply. During weaning, they can be left on continuously. 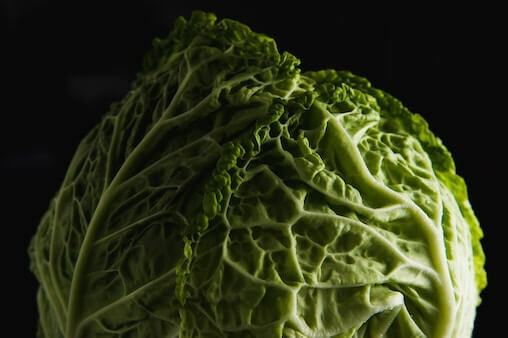 One study, published in the June 1993 Birth, found that women whose engorgement was treated with cabbage leaves experienced greater relief and were more likely to continue nursing (76 percent versus 58 percent). Women who used the cabbage leaves preventatively, while their milk was first coming in, tended to report less engorgement. I wish I had known about that when my children were nursing! A later study in the March 1995 Journal of Human Lactation, found that chilled gelpaks and chilled cabbage leaves both result in a significant drop in engorgement pain. Although both worked equally well, the majority of women studied preferred the cabbage leaves. In the September 1995 issue of the same journal, researchers reported that when women had chilled cabbage leaves on one breast and room temperature cabbage leaves on the other, the relief of engorgement was significant, and was the same on both sides; use whatever temperature is more comfortable for you. I’ve even known some women who like warm cabbage leaves. What about the cabbage leaf extract creams you can buy? The Cochrane Systematic Review, which analyzes data from all available studies, concluded in 2001 that although cabbage leaves may help, cabbage leaf extract preparations do not – save your money! Some remedies and solutions promoted to breastfeeding moms truly help; others are myths, or are even harmful. Experts in lactation are invaluable resources. Cabbage leaves are just one of many useful ideas you might get from your local lactation consultant.